Hennebont won the match in situation when it had no right for mistake in Group C of Men`s European Champions League. After tonight`s away win against Walter Wels 3:2, French club continues its fight for quarter final with same score (1-1) as Austrian side and German champion Werder Bremen. World`s no. 23 ZHAN Jian beat Dmitrij PROKOPCOV (no. 89) in five games of opening match. Guest had two set balls for 2:0 lead (10:9, 11:10), but Singaporean leveled on 1:1. PROKOPCOV saved a match ball in fourth set, equalizing on 2:2. In fifth set the game went point by point until 6:6 and host took next five points in a row. 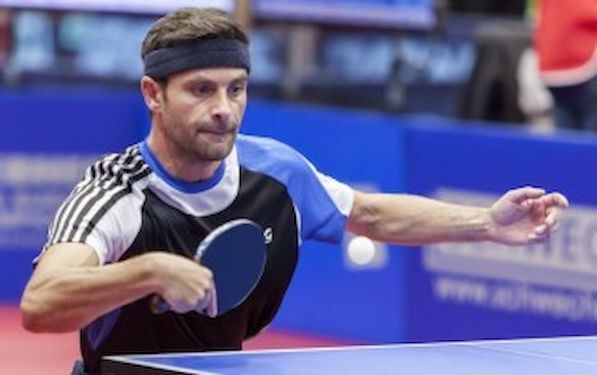 The legend of European table tennis Kalinikos KREANGA overcame Serbian Zolt PETE in straight sets to provide the lead to Hennebont. Individual bronze medalist from 2003 World Championships at Paris, controlled each of three sets. ZHAN Jian captured his fourth MECL win in his fourth match, defeating CHEN Chien-An in four games. Singaporean was the hero of surprising Walter Wels` win against German champion Werder Bremen, when he surpassed world`s no. 7 CHUANG Chih Yuan. PROKOPCOV brought the victory to the guest, overcoming easily DEMETER in straight games.